Someone pointed out that I claimed to have the European “Black Phantom Edition” in my story from Part 1, but then when I posted to Twitter that I was starting this crusade I clearly had a copy of the US “Deluxe Edition” in that photo. Keen eye, although many are aware the box art is completely different. Yes, it’s true, I no longer own the “Red Phantom Edition” because I sold that sucker for over $250 on eBay back when Dark Souls took off and demand was extremely high. Mind you, I did this only after walking into a local GameStop and seeing them selling a copy of the US Deluxe Edition for the standard $59.99 price tag, which I think was a discount. In the US the Deluxe Edition only came with the strategy guide (with a worse cover), but those that pre-ordered also got the art book and soundtrack as a bonus. The employee admitted that a pre-order had never shown to claim their copy and despite being rare and in high demand, no one in the south suburbs of Kansas City seemed to care at all. He also admitted that one of the other employees had already snagged the free bonuses (art book and soundtrack) so I wouldn’t be getting those and thus the discounted price. Side note: it always baffles me nonchalant GameStop employees are about the terrible things they do to their customers; this was not the first employee to flat out admit that when a pre-order goes 5 days unclaimed that the employees are allowed to descend upon it, pick it apart, open it, take it home to play it, and you get this semi-used sloppy seconds version of a game you are paying full retail price for. The game had been out for at least several weeks in the US and, yep, this copy had been opened and clearly played but thanks to that magical circular sticker they put on the box it was considered “sealed” by the GameStop gods. I didn’t care, I could keep my copy of the same game – now specific to my region – and it came with the most important item: the strategy guide. It also helped that I was able to rip the soundtrack before selling my other copy and you could find quite a few amazing high quality scans of the art book in PDF form, which are still live today. Granted, it’s not the tangible book or disc, but neither are the art books, strategy guides, and soundtracks in future versions (other than my UK version of Dark Souls III), so technically this now just matches my others. Either way, that’s why my pic had the US Limited Edition, which is not that far in value these days from the Black Phantom Edition so bully for me. It was time to go back, return to the game that brought me nothing but defeat and frustration. A game that I paid a very high price for, imported when it wasn’t in my country, and thought was utter hype garbage. I wouldn’t be going in half-cocked, however, despite what some may think this is not a crash course in masochism. I wanted to be prepared, not only for the rough mechanics, but also how to overcome many of the flat out bad design choices that were played off as a difficulty spike. When a game drops a boulder on you that you cannot avoid unless you know it’s coming, that’s just bad design, not a challenge. The easiest way to prove this is when you have the knowledge of the boulder, it isn’t a challenge at all and can actually assist you in taking out enemies you no longer feel you need to fight. 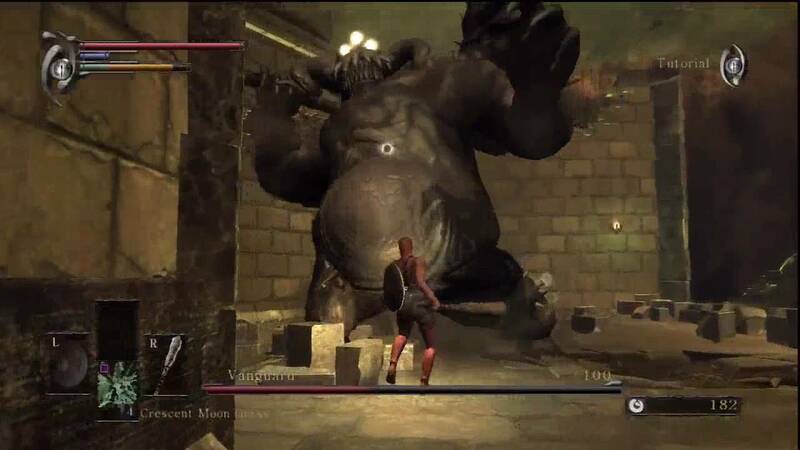 This is where and how I draw the line between difficult and bad design, and I knew Demon’s Souls was chock full of both. So I did what any planner or student would do: I read the guide. It was so coveted, even by me, for so long that surely it would have some helpful information. It did, but like everything else with this franchise, it was hardly straightforward and read more like an encyclopedia than a guide. Again with my definitions. 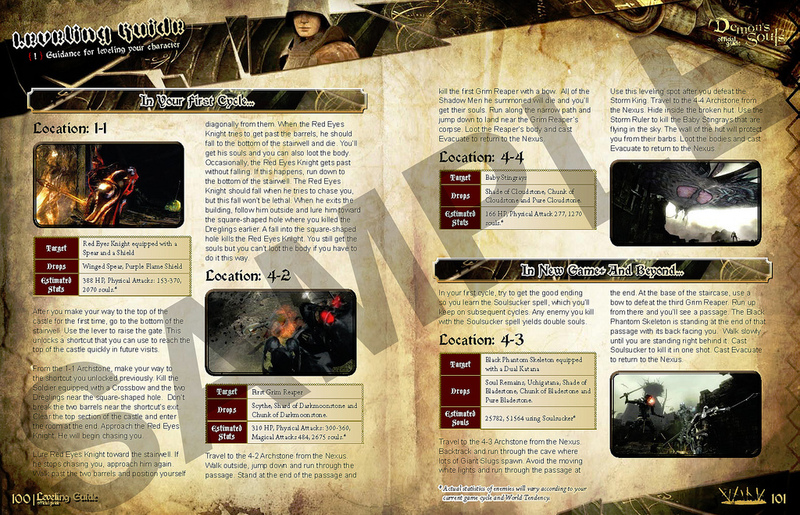 A guide should walk you through the process of the game, allowing you to basically follow your progress in the game along with the page number of the guide with the occasional diversion chapters for filler. An encyclopedia just dumps all the information in one organized place and forces you to determine what knowledge you need and seek it out. This guide had spreadsheets, characters sheets, leveling info, item lists, enemy lists, tips, and several sections on higher gameplay tactics, but it never has a single page that covers how you start out. There are 10 starting classes all with different stats, abilities, and perks, many of which won’t even matter until you’re at least 10-15 hours into the game and at which point you may have to restart the game if you selected the wrong build. Additionally this title is a game of melee combat, ranged combat, magic, or different combinations of these attacks so you can understand why I was puzzled by a Thief class or the difference between a Knight, a Soldier, and a Temple Knight. If you know this game well you’re probably tearing your hair out because the differences are distinct and real, but you would never know most of this without looking it up online. While my guide gave me the different stats of each class and some random distinguishing characteristics, it really didn’t help you decide who to go with. Hell, I had played Bloodborne and I still didn’t know who I wanted. In this regard, the guide was somewhat useless because although it gave me stats and told me equipment, I didn’t know what the equipment did. I later learned that if I went over to the equipment section, I could have looked each item up, but I think it would have been more helpful to just simply say something like “Silver Coronet – increases MP” to assist. Games typically tell you what an item does when you get it, right? Defeated by the strategy guide for starting tips – I wasn’t even in the freaking game yet – I took to the web. This made things simple. The Demon’s Souls wikia gave a much simpler and more clear breakdown, complete with explanations of what everything does, and suggested who to start with depending on play style. If you’ve never played the game before, I can see why this could still be problematic, but having now put in 10 hours there should be no fear in just jumping into the early moments of the game because you most likely won’t accomplish much early on. Spoilers, this entry ends with me contemplating starting all over again. After reading the Wikia and some helpful spoiler-free starting tips on Reddit, I decided to go with the balanced class: the soldier. This character has average stats, strong armor, strong starting weapons, and many say it’s one of the easiest routes through the game. I disagree about it being the easiest since a lot of my peers flew through this game using magic and they say you can basically break the game. I don’t care for magic, I don’t like playing as a mage in anything, and I’m all about being spry and in the action so I’m going to grind it out the classic way. Still, it’s going to be tough, so I wanted advantages on my side and went for the easiest class of the melee characters. This didn’t mean that I wouldn’t be using the guide to assist me, just that it wasn’t good for starting out. I was also both shocked and amused by the fact that the actual “walkthrough” was only about a dozen pages near the very end of the book. 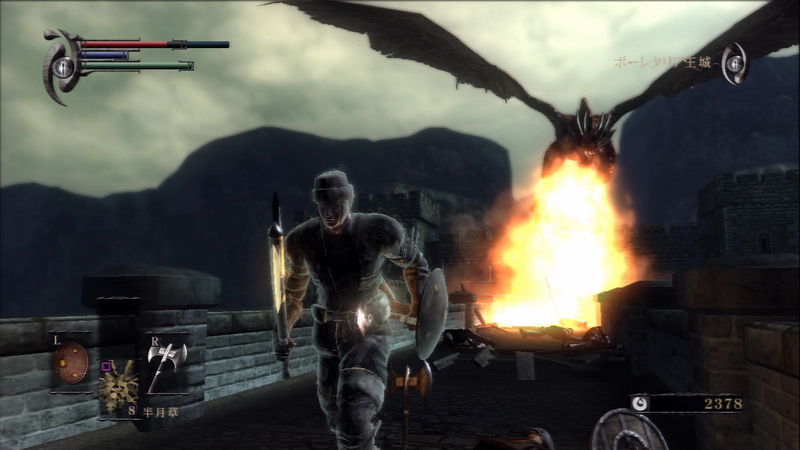 With my class selected, my character created (I made him look like me, named him Seth), I started out Demon’s Souls. 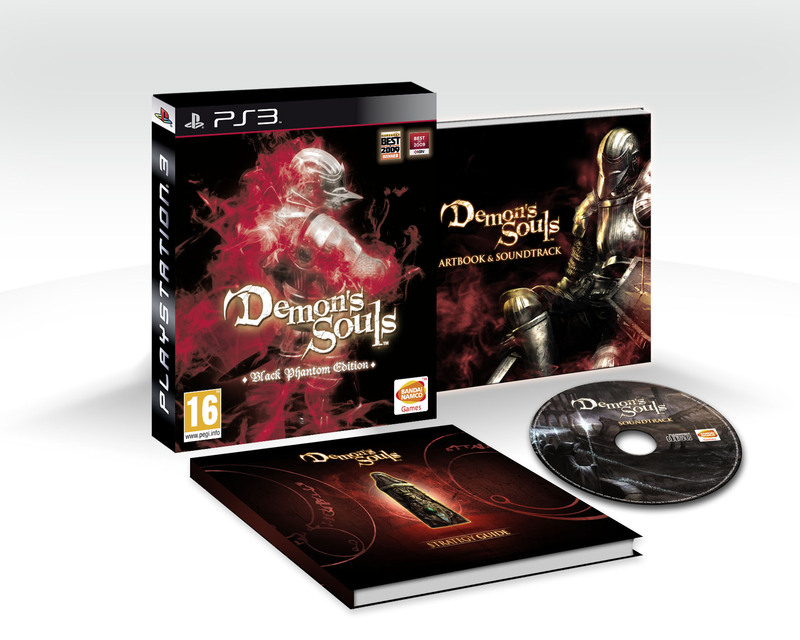 Note: As I’m sure you may imagine, the following section will contain spoilers from Demon’s Souls. This is not a guide or walkthrough, so much like other parts of this entry it will contain random information. In this section I only get through the tutorial, 1-1, some story points, and part of 1-2. If you’ve gone through all of these, you have nothing to fear. Look everywhere, behind every nook and cranny. Remember to break boxes, break out walls, and look for yellow glowing items. If they aren’t accessible, figure out how to get to them, there will always be a way. Avoid going through the smoke at the end of a section until you feel you’ve looked over everything in that section and even can potentially loop around. The two items I should pick up in 1-1 are the Cling Ring and the Ring of Herculean Strength. When you are in “souls” mode (which you frequently are) your health is halved, but the Cling Ring restores your health to 75 percent, very useful. The Ring of Herculean Strength doubles your holding capacity so you can haul more stuff. You can’t increase your souls level until you beat the boss of 1-1, so don’t worry too much about your souls in that level unless you’re trying to buy something. As a soldier I would want to buy the Heater Shield from the Blacksmith for 200 souls because it is more effective at blocking most attacks. With that I went on my merry way. I started the tutorial level only now I expected the clunky movement, hitching frame rate, and slow movements of my character. I was able to block and counterattack enemies with ease, barely taking any damage. I even dabbled in the parry/riposte mechanic. I felt confident and clearly forgot that most likely everyone who starts out has this experience and perhaps even I had this experience the first time nearly a decade ago. With overestimated courage I dove into the fog of the upcoming boss ready to take him on. I don’t know if you are supposed to be able to kill him, or even hurt him, because to this day I have never been able to do either. He’s a troll or some derivative that takes up nearly half the room and has a massive club. He basically just walks up and kills you, bang dead, although I’m aware that you are supposed to die for the sake of the plot. You learn the history of this world and the apparent value of souls, eventually being dropped into an area known as The Nexus. This is where you return to if you leave an area, it’s where you pick what level to enter, and it’s where you do your inventory and RPG stuff. I was able to talk to a blacksmith and learn that my weapons and armor degrade (great), can be upgraded (great! ), and that he could sell me new weapons. There was another guy there, who I can’t remember the name of, and he holds onto my items. Unlike other RPGs, you don’t really trade in or sell weapons and armor, you just put them in this guy’s care and he holds them for you. Some other items can be used/traded/sold, but mostly your finds go to his capable hands. With that, I jumped into 1-1. I made the usual rounds I had before: dodged the boulder, beat the blue knight at the top, dodged the red knight in the tower left, and embarked on a new area to the tower right (just past the fog with the blue knight). A few fights and some explosions later, I got the Cling Ring. I also cut down some bodies higher in the tower that were now back on the ground when my journeys looped me back near the beginning and I got a hair ornament. I quickly looked that item up (since I know the game will never tell me its purpose, learned that in Bloodborne) only to find I trade that ornament with my gear holding dude to get the Ring of Herculean Strength. In no time I had both of the rings that I was told to get. I was proud. Then I got to the damn dragons again. Here’s where I got stuck for what seemed like hours – it was probably an actual hour or so. I kept trying to run past the bridge and got burned, killing me instantly. No matter what I did I couldn’t lure the dragon away long enough to prevent getting melted down, although a side effect was getting really good at the opening area and being able to keep recovering my souls for a decent bank total. I got pissed enough that I looked it up in the trusty walkthough at the back of the strategy guide. Take off your armor and you’ll run faster. Really? Really?!?! REALLY!?!??!?!? That made me angry. When I got to the bridge again, I stripped my armor and darted across, killing the few foes on the other end and beating it the first time through. That’s not difficulty, it’s not even game design, it’s a dirty trick using mechanics that are never explained and never previously accounted for. It did explain the “get naked” hint at the front of the bridge, which I originally thought was a joke. After my dragon escapades the rest of the level was somewhat of a joke and I unlocked the entry to the first boss, right where you start the level. I went back to the Nexus, tried to prep as best I could, swallowed hard and entered the smoke. The Phalanx was a joke boss. It did a decent amount of damage and was slightly annoying, but I had plenty of turpentine so I burned it down after only a few minutes of fighting. Boss beaten, new world open, a demon’s soul in my inventory (that I knew could be traded for something nicer later), and a few thousand souls. This also added some story points to the Nexus and allowed me to start leveling my character up. I was pleased about my performance, especially since I got this point in only 2 sessions and about 5 hours of play, but little did I know that I would have a ton of grinding and stagnant progress in my near future. I was pretty irked by the dragon thing though, that’s the second instance of this game being completely obtuse about a basic concept and if this was the first few levels it would probably get much worse later on. I’m fairly certain I’ll not be beating this game. I got working on 1-2, which is a lot more getting naked and rushing past the dragon than I cared for, but I kept getting stuck again on the final rush where I have to dart at a wall of archers with no armor or be burned alive. Checked my trusty walkthrough and, of course, I have to kill the dragon in a cheap and annoying way to proceed with relative ease. Great. This task was much more complicated than I had imagined. It required me get roughly 10,000 souls. This is how much it would cost to get my strength and dexterity up to at least 15, which directly affects your damage with arrows, I needed a compound bow that I fortunately had already acquired in 2-1 but should be upgraded a few times, and I needed 300 arrows. That’s probably one of the bigger challenges since 300 arrows costs like 5,000-6,000 souls, perhaps more. I basically spent the next 5 hours running through area 1-1 over and over, sometimes trying to fight the red knight and sometimes not. If I fought him fairly I’d tend to die because he does massive damage and appears to have an endless supply of healing items. There’s a dirty trick to get him to leap off the tower after you and I get it to work maybe 50 percent of the time but it’s so tedious that I stopped bothering. Sure, I get like 2,000 souls if I pull it off but I just hate the process. I was starting to get bored and starting to wonder if I wanted to play this game anymore. Not a good sign. Eventually I did it, I got my character leveled up to 15s on some of the biggest stats for my build (including strength/dexterity), I got my bow up to a +2, and I have 300 arrows. Then I stopped playing. Yep, the dragon battle is less of a battle and more you taking pot shots at him for like 20-40 minutes in the first exterior tower of 1-2. That’s a boring task after a previously 5 hours of boring tasks and I had little interest at the time. Many people tell me that the fact I plan to spend 2-5 hours per week playing this game means I’ll never beat it. Perhaps not, but I only have about 10-15 hours a week to play games and frankly I’m not having much fun with Demon’s Souls right now. Some have said to move on to Dark Souls, and although I’m sure it has many improvements, I’m betting a lot of this bull crap is in those games too, especially since a lot of it was in Bloodborne. Nope, I’m going to stick to my guns, play little increments, and try to hate this game into being something I enjoy. If I’m wrong I will eventually quit, but for now I’m not done because it’s too hard, I’m done because it’s too obtuse. Here’s hoping things get more…interesting.